Tq photobook for this price. Murah n sgt berbaloi. Picture yg cantik.. Highly recommended. Good product quality. Very disappointed. I was received photo book today . Front page is not my picture is other person picture . Pls check for me what happening . Could you provide us your Photobook Order number and the screen shot of the wrong cover page that received through our support email at support-my@photobookworldwide.com for further check and assistance. 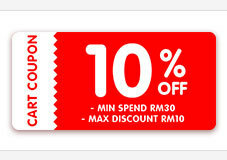 Could you provide me your correct voucher number and Photobook Order number for further assistance. The provided code is not valid for checking. Maybe due to typo error. Voucher number Q04037110MY79VZFA & PO02964683 , following picture suppose front page and back page is like attach file. I am sorry to hear about the condition of the order received. Further to our management's review on your concern, I will proceed with a replacement copy immediately and arrange for the shipping soon. Thank you for your reply and you are most welcome. Glad to hear you have received the correct order. We appreciate your patronage and are looking forward to preserving your treasured memories. Feel free to email us again for any other queries. I will now proceed to close this ticket. You may either reply to ticket to re-open it, or send us a new ticket for your other queries. Hi, please provide us the code to check further. My e ticket Q00762109MY158YSZ not valid can u help? HI, further to checking the code is still active and valid, please provide us a screenshot of the error so we can check further. Hi, I am sorry to advise that this voucher is not valid for Mobile App, kindly use computer software/website to complete your order. Hi I have went to the website but I can't find the 2 identical photo book. Can you please help. Can I know when is the due date for me to complete this? Can it be extend as I have faced so much problem doing this. The code has been extended to 21 August 2017. For 2 identical, create 1 6 x 6 Mini Square Softcover Photobook, then set quantity as 2 when ordering and apply this code. My E ticket is invalid. Can u please check? Hi, please provide us the e-ticket to check further. The codes were not valid. Tried check out on 6x6 simple book on the photobook apps for hundreds of times until the code expired today.Still says no valid or it says for Free 20 pages photobook which that was already a 20 pages 6x6 simple book. What happened with your codes??? Please provide us the codes to check, thank you. Hi, further to checking we have just applied a fix on the codes for whole promotion yesterday evening. Could you try again now? If the same issue persists please provide your email so we can check further.